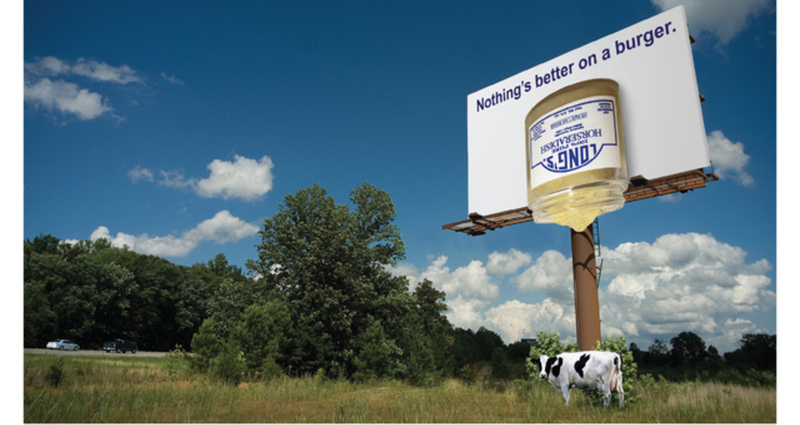 A Taxidermied Cow is placed underneath a 3-Dimensional Billboard of a Long’s Jar about to pour horseradish. Reposition Long’s horseradish as a high-end specialty food brand, appealing to affluent and discerning food enthusiasts that appreciate freshness and quality. the new brand positioning targets Long’s demographic and reflects its “new” brand face, described in the latter portion of this brief.